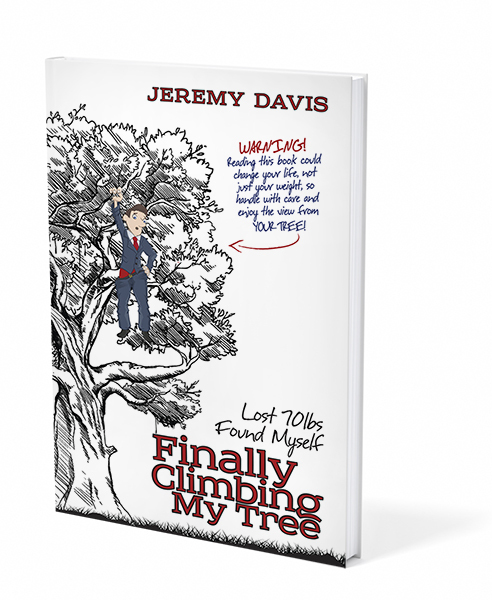 The Author Jeremy Davis approached me to design the cover for his new and exciting project; a book about his inspiring and challenging journey to lose 70lbs and discover his true self. One of Jeremy’s major life goals in life was to lose weight, but with many failed diets behind him he realised he needed to think differently about his weight to get different results. A witty real life story to help you walk the same successful road – Inspirational honesty to encourage you that you’re not alone – Practical questions to consider along the way – Facts, Tips and Ideas to motivate you to achieve a genuine long term weight solution for life – A real world weight loss journey that challenges what we’ve been told about food and where Birthdays, Holidays, Business Travel and Chocolate are all allowed! 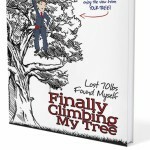 For Jeremy, this book is proof that when we really put our minds to tasks and problems and intentionally go out to solve them, anything is possible! Finally Climbing My Tree shows that there is a world in which you can eat every type of food, feel great and stay fit and healthy. All discovered from Jeremy Davis’ experiences of living the life and losing the weight. WARNING Reading this book could change your life, not just your weight, so handle with care….and…. Enjoy the View from YOUR TREE!